We're almost done with January which means I'll be going back to university real soon. It'll be nice to have something to keep me busy. I love myself a good lazy day, but practically a whole month is a bit too much. As dumb as it sounds, I'm excited to have classes and homework to keep me busy. Is it bad that I really don't remember what classes I signed up for? Opps! I guess that means that other things have been on my mind. Anyways, even though that it's almost February that does not mean that winter is almost over. If you're from the north, then you know cold weather can last as late as April. So with that being said, it's important to have an ideal, winter wardrobe. So I wanted to share with you some of my essentials. And before I forget, Kenzie from Kenzie Tayla, is also sharing her winter fashion essentials, so feel free to check her out as well. 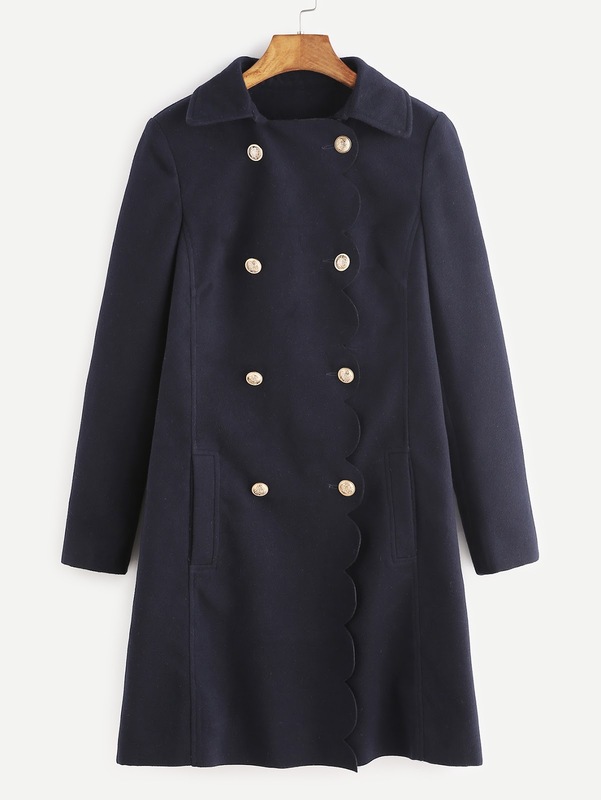 While a warm, heavy duty coat is important for the winter, I think a nice dress coat is also an essential. These are perfect to throw on with a dress while you head out to church, a party, a wedding, or even date night. I love the scalloped detailing on this double breasted coat. It adds such a cute, flirty touch! Plus the coat is neutral, so it's sure to go with any outfit. This coat is selling out fast, so be sure to get your hands on it before it's gone. Velvet dress are my favorite during any winter season, but they're especially a big hit this winter. You'll be sure to find one that fits your style. If you're looking for something on trend, this choker velvet dress will certainly meet your standards. Plus it has long sleeves, so you're sure to say warm if you live in the bitter cold. I've hopped on the bandwagon of black denim. I realized that blue jeans just don't look right with certain shades of tops. This pair of denim is less than $20...a steal in my opinion! I love denim that are ankle length like these, because they're perfect for us petite women. The rips are not the most practical for winter weather but they add a little extra flare to an outfit. Plus who doesn't want to be trendy!? This is an obvious one, but a warm pair of boots is essential. Now this is something that I don't even own. All of my booties are not practical for winter. 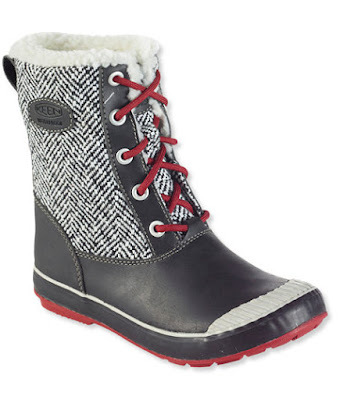 And I've never really considered that I need a pair of winter boots until this year. Yes, you heard me right. I've lived in the North my whole life and the only time I've owned snow boots is when I was a kid. I guess the reason why I never considered purchasing a pair was because I found them not fashionable. But when it's a blizzard outside and you're not wanting to crack your neck on ice, a good pair is a necessity. So, I definitely need to invest in a pair. I personally love this sort of herringbone printed boot. I wear mostly black, so this pair would go perfectly with any of my outfits. 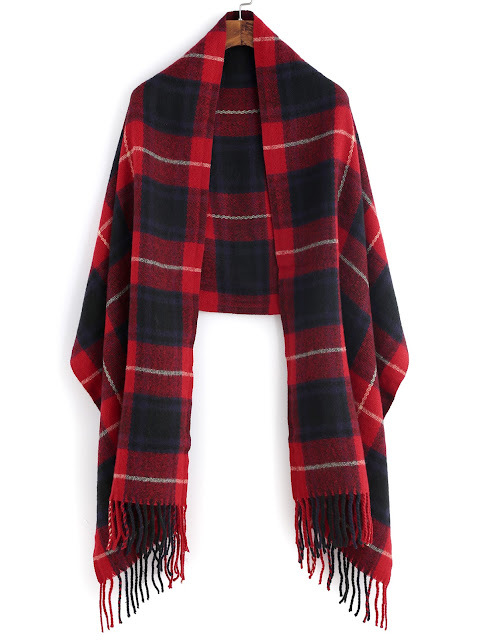 Last, but now least, it would not be a winter fashion essentials without a scarf. I love adding them with outfits, but it's also an essential for outerwear. Just like everyone else, blanket scarves have become a must for me. I personally love plaid ones, but especially ones with some red in it. Which is why, I'm obsessed with this blanket scarf. What are you winter essentials? 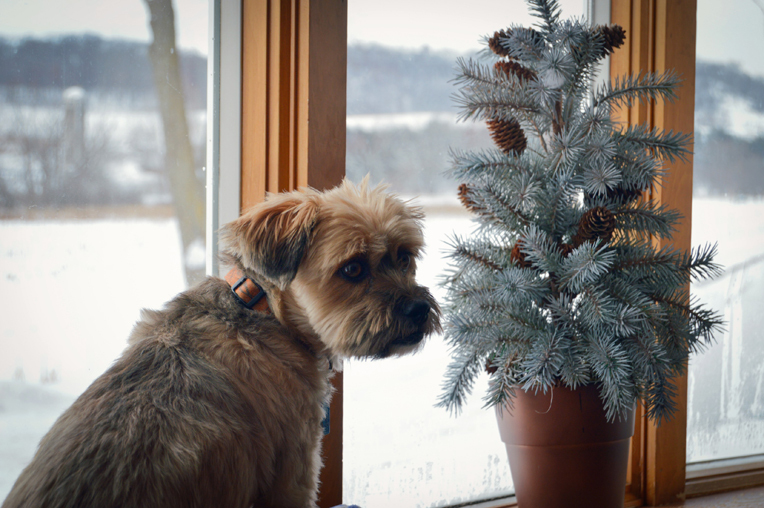 He's my boyfriend's family's dog and he's just adorable! These pieces are all perfect for a cold winter. Being from Australia, it doesn't get cold enough for slow boots, but the other pieces I would definitely love to wear. Thanks for the great read!